As uncertainty grows around the future policy towards Iran, under the new Trump administration, one thing seems to be certain – Obama’s Iranian legacy is in shambles. The true blow to Obama’s legacy on Iran does not derive from defaming by the new administration, but from Obama himself. Slowly but surely, new revelations, exposed by journalists and pundits, are hitting hard at Obama and his so called Iranian legacy. The first blow under the belt, was the astounding piece about Ben Rhodes published in the New York Times Magazine, titled the aspiring novelist who became Obamas foreign policy guru, which revealed superficial and artificial means and methods implemented in order to seal the Iranian nuclear deal. The most startling revelations were definitely the creation of the “echo chamber”, the “manufacturing” of narratives and the “shaping” of misleading stories, all in order to “sell the deal”. These revelations on their own enough to shake the outside world with the understanding that the TV shows “The House of Cards” and “The West Wing” are not so far from reality. Then came the “money for hostages” issue. The late confirmation that at least 400 million dollars were paid, as part of an “American prisoner release” understanding. It was of course immediately interpreted to reflect a ransom payment to Iran for the release of innocent hostages. Later became termed “hostages for pallets of money” with the video controversy. 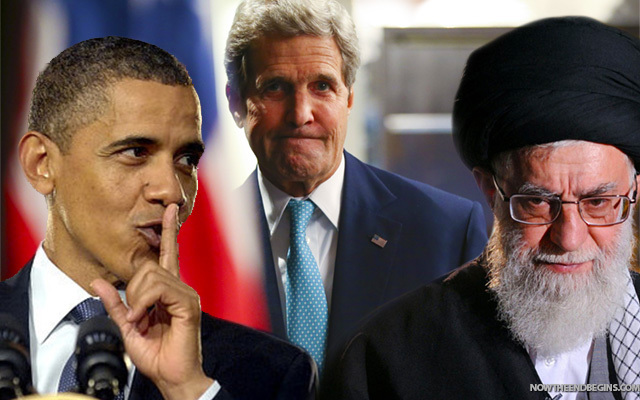 The most recently published investigation by Politico titled Obama’s hidden Iran deal giveaway goes the extra mile, accusing the Obama administration of even undermining its own counter-proliferation efforts, just in order to serve the interests of the nuclear deal legacy. These efforts included downplaying real threats, derailing the National Counter-proliferation Initiative and slowing down legal judicial procedures. In general, misleading government officials and the public. The most recent piece of devastation for Obama is Jonathan S. Tobin’s article in nationalreview which adds a few key sentences like “the administration is facing up to the implications of the mess Obama left behind”, “those who focus on Iranian compliance are missing the big picture about both the consequences of the nuclear deal and the chances for reversing the colossal mistake Obama made with Iran” and “all Obama accomplished after years of negotiation and a steady stream of concessions is a piece of paper that at best kicks the nuclear can down the road”. This Obama legacy revision is only natural, especially in light of the necessity to review the US Iranian policy, which clearly did not deter Iranian expansionism and militarism. The only real question to pose to the media is how to prevent the media from becoming an echo chamber and a choir, instead of being the biting watch-dog it is supposed to be?